Strange to hear that Cam didn't realize until after the game what he meant to this team. Better late than never. Hope he is able to keep that feeling of appreciation in his post Mason career. I always find it funny when the so called underdog or mid-major loses a player and it goes well under the radar except for the team and its fans. If we were a BCS school it would be played out over and over again. There is a team system and for all season Coach L stressed that point. Everything leading up to the game and during the game will be the same as far as preparation. Do I really think we would have won? When the favorite wins by 32 and we have one field goal in over 8 minutes,there is very little room for argument. What I really hope for is that the returning players devote themselves to using this game as a benchmark for a summer of sincere self improvement so that they can compete for minutes plus create a new team full of chemistry and confidence. Cam was probably just trying to be humble in the face of the loss and about his career. 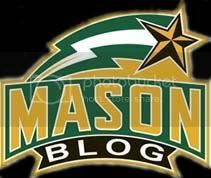 Let's not forget he had a somewhat rocky GMU career where he came out as a highly touted recruit who followed almost immediately in the shadow of the 2006 team. He had a lot of pressure to become the team's star carrying on that team's legacy and frankly struggled early and underperformed before slowly coming along over the past couple of years. This season finally established him as the leading player he was expected to be coming in and helped build his legacy as one of the program's better stars. I'm happy to see how much Cam has seemed to mature as a PERSON as much as a player over the course of his career, especially this season.